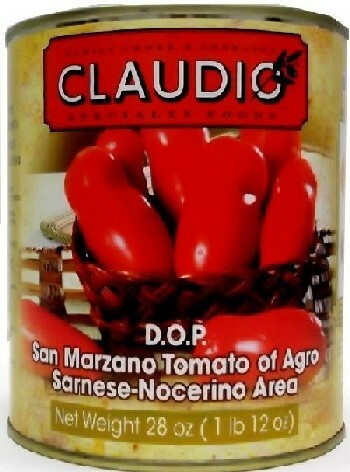 San Marzano tomatoes are considered to be the best sauce tomatoes in the world. Produced only in limited quantities, San Marzano tomatoes make up only a fraction of one percent of the total Italian tomato production. San Marzano tomatoes are grown on plants tied to poles in and around the Naples, Italy area on mineral rich, volcanic soil. These tomatoes are then hand-picked and placed in small crates due to their delicate nature. San Marzano Tomatoes are typically much more consistent than other tomatoes, since they grow under more controlled conditions and since they are selected only when completely ripe.